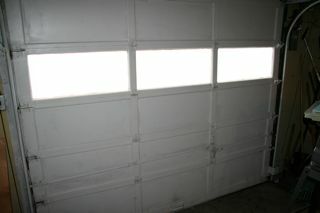 I have an old wooden garage door going into the basement of my house. In winter the garage gets really cold and so does the bedroom above it. I decided to insulate the door instead of replacing it because first it is a nonstandard door size and second it was cheap enough solution to give it a shot. 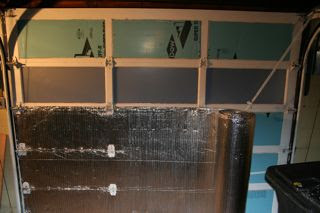 First I purchased 1/2" thick foam insulation board & cut the foam to fit each pocket area in the door. The foam have an R-value of 3. I used a jig saw to speed up the foam cutting process, but normally they recommend using a knife because it can get a little messy. 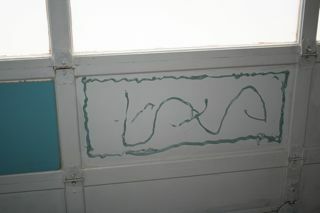 Next I used construction adhesive to stick the foam to the door. If you don't use the foil lined board make sure you use an adhesive that can be used with foam. Otherwise the glue will eat through the foam. 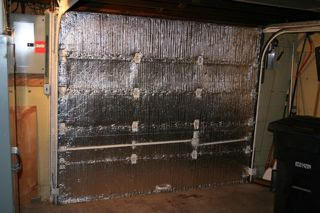 Next I used Reflectix 4' x 25' foil insulation, which also gives an insulation value of R-3. I removed half of the hinges on the door at a time so the door didn't fall apart on me. Then I ran the foil along the door and stapled it in place. 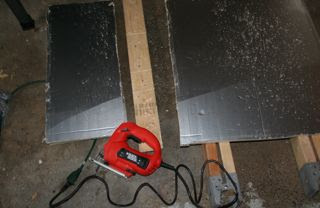 Next I cut the foil to fit each door panel and replaced the hinges. When all is said and done the foam cost $8 and the foil cost $50. Not bad for $60. I will update the effectiveness of the of the job in a couple days. My area is expected to get temperatures below -17 degrees, but hopefully some insulation is better than none. 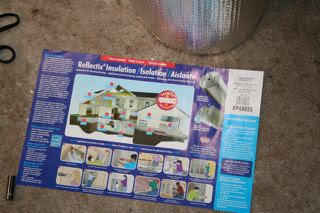 Update: I'm not totally sold on the Reflectix insulation. I'm thinking it may be really for radiant heat in the summer time only. The foil is pretty cold to the touch so I hope it's not making things worse. The garage is still pretty cold to the touch. I'll have to see if there is a change in the heating bill. That's a futuristic look. Thanks for sharing. I need to wrap the walls with that stuff and dust off the strobe light. This is just amazing! Love your blog on how to make insulating a garage with just a budget of 60 USD. Thanks for this.